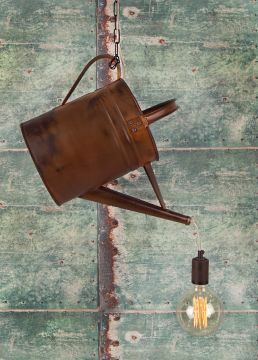 Painted rusted watering can pendant complete with a chain to match. Other finishes are available. Please note dimensions depends on what is available at the time.